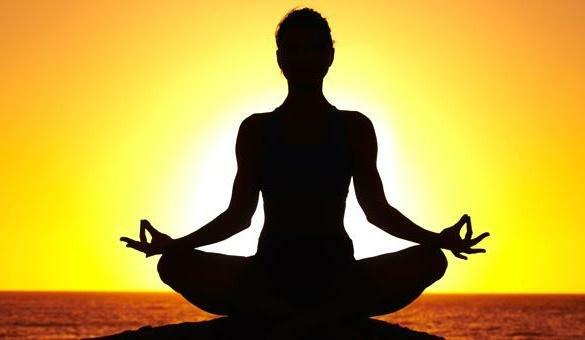 Ayurveda Bansko » Blog » What is the connection between Ayurveda and Yoga? What is the connection between Ayurveda and Yoga? The ancient teaching of Ayurveda, as well as Yoga, are an indispensable part of the Indian Vedic tradition. The Vedas are the main written bases of Hinduism, believed to have been created around 1500 B.C. According to them, Ayurveda’s philosophy is to heal our mind and body, and Yoga seeks to unleash the superior abilities hidden deep within us. The development of the two teachings has been carried out in parallel over the years and the two have been regularly applied together, as they share many similar principles. And there is no other way – the excellent health achieved through one science is a must for the achieving of the advanced and superior practices of the other. The creator of one of the yoga types, Iyengar, says the drugs do not heal. They simply activate and accelerate the natural and functions of the body to nourish, cleanse the body, and so on. In short, it is nature that heals, not the medicine. Yoga does not use medication to speed up the healing process. By practicing it, one has to trust its own nature and, using it, make the body work as quickly and efficiently as possible. This process may be slower but, on the other hand, its effect is certain. What is the common between Yoga and Ayurveda? In essence, Yoga is not a typical therapeutic science. It is rather a teaching on the liberation of the soul through the integration of consciousness, mind and body. The benefits of its, let’s call them side effects, is great. For a better understanding, we will set an example from a very different field of life. Think about how a plant is built to produce a specific product, but usually there are also side products that have a selling value. However, it is often the case that the later ones are more emphasized, because they are more popular. The example is a bit harsh when we talk about Yoga, but the principle is the same – the main goal is the awareness of the soul, but we also receive wonderful “side effects” such as health, peace, happiness and peace. It is because of them that Yoga can to some extent be regarded as a medical science. For the application of its methods in a healing process, there must be a medical system that follows the relevant philosophy and principles. For example, Western medicine may well accept the physical aspect of ancient teaching, but it lacks the Vedic understanding of human life, unity between man and universe, and similar ideas. Therefore, all Yoga methods for the successful treatment of body, mind and soul are not fully utilized. It is necessary not just to apply asanas as a type of healing gymnastics, but to adopt and apply correctly the possibilities for internal healing of diseases and to use diets, herbs and other characteristic beneficial means. We need a medical system that not only fixes us physically but also treats us on a mental, psycological and emotional level. Such a system already exists and we’ve made a hint of it in the beginning – Ayurveda. The link between the two sciences is the vital energy called prana. Yoga is the prana’s mind that seeks for the higher evolutionary transformations. Ayurveda is its healing power which seeks to unite the living systems that have already been developed. Together, they form a common system of self-improvement, self-control and self-restoration. When we think about it, it is precisely the restoration of the wholeness of the soul, mind and body that is what we are all looking for – both individually and collectively. Why is proper breathing so important? 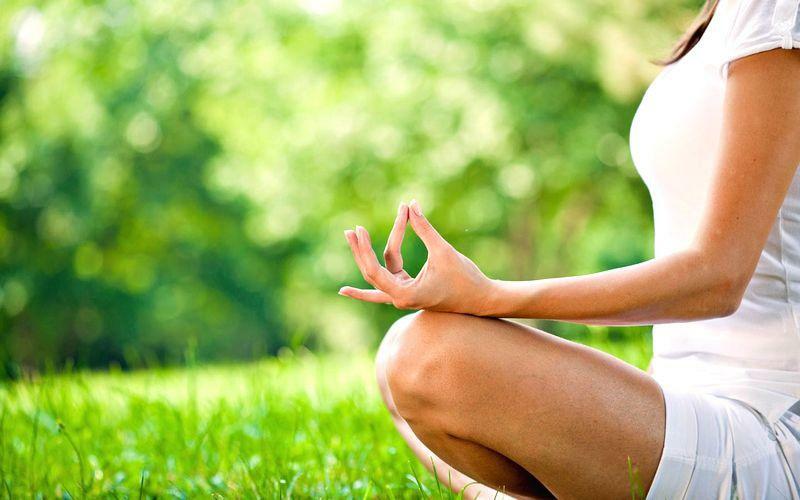 There are eight degrees in Yoga, one of which is called Pranayama – the control (or management) of breathing. We have already mentioned prana, which is the divine cosmic energy that sustains our body. 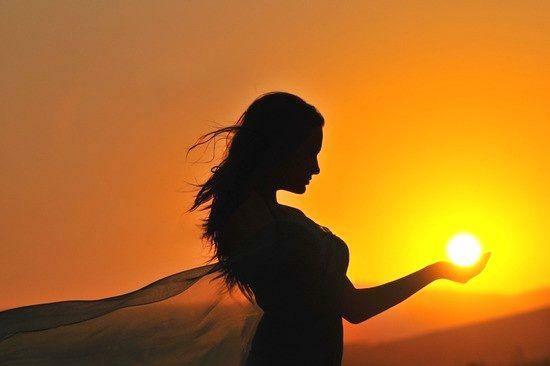 It connects the consciousness, the mind and the physical body, conveying our thoughts, emotions, feelings and sensations. According to Ayurveda, everything is associated with the breathing. It is defined as a physical part of thinking, and thinking itself – as the mental part of breathing. All thoughts and feelings that are triggered affect our breathing rhythm. On the same principle, the different types of breathing change the rhythm of the mental process and, accordingly, the feelings it causes. Pranayama influences body organs through the massaging effect of inhaling and exhaling. It is important to apply it in the treatment of depression, mental illnesses and various addictions. It has been proven over the years that it is clearly more effective in raising and enhancing our spirit than any stimulant. An example of a breathing technique of utmost importance is the so-called alternative breathing. It is also used by Ayurveda in the treatment of many diseases due to the strong impact of harmonizing the hemispheres of our brain. Alternative breathing reduces the accumulated nervous tension, soothes our mind and creates a sense of harmony and tranquility. It is especially effective in the treatment of diseases of the respiratory, nervous and circulatory system, as well as of the weakened immune system, chronic fatigue and recovery after diseases. It is considered to be the most significant separate action, with the practice of which we can improve our health. What Is an Ayurveda-Yoga Massage? This is a healing and deeply harmonizing procedure. It combines the knowledge of Ayurvedic massages with the typical yoga techniques of bending and stretching the body. In the treatment with this method, the energy moves and improves the condition and functioning of the joints and muscles in our body. Also, a number of self-regulatory processes are triggered in the body. In this massage, a person is usually lying down on the ground, at first on their stomach. The massage, using sesame oil or olive oil, is done slowly, warming the body and adjusting for the upcoming stretches. The possibilities of each person to stretch are different and this is assessed by the masseuse. It is important, however, to note that the load is carried out very carefully, without making excessive efforts. This is not about twisting, cracking and the like, and an example for this is that the therapist can positively affect the back side of the legs and the patient’s back with their feet. The specific Ayurveda-Yoga massage mainly helps the body become more flexible and the tissues softer and relaxed, so the joints could move more. Massage gives the possibility and we can already breathe deeper, because the muscles on our chest become more flexible. Breathing occurs through the muscles, so the more relaxed they are, the more the chest can expand. During this therapy, one can relax extremely deeply and already take in more oxygen. In other words, to accept more life. What is the connection with the divine? Yoga in Sanskrit means connecting with God, with the Supreme. How can we really connect with it? First of all, we must above all ask for this by ourselves, recognizing the importance of the act in question. God Himself has created many ways to make it happen. They are varied and lead to different results and levels of connection with the Supreme. For example, let’s have a look at the human body. It is an extremely complex system that unites the combinations of the five main elements – ether (space), earth, fire, water and air. Here is another connection between Ayurveda and Yoga – these elements are the basis of the first teaching. They are called “rough material” and our body also consists of three finne materials – the mind, the intelligence and the false ego, as well as two completely spiritual ones – the soul (atma) and the supersoul (God, Paramatma). The rough elements are mixed with the fine ones only in a mechanical way and the combination can be defined as a mixture of oil and water. The example is such because in certain circumstances, they can be considered a unified system, but they are always separated in a natural way because they are completely opposite (heterogeneous) as qualities. This means that the systems of Yoga must be designed for different parts of our body in a different way, leading to the realization of God. For example, if we look at Vastu shitra, we will find that it is aimed at organizing the outside world in order for it to balance with the Supreme. This is the so-called yoga of the surrounding environment or external space. If we succeed in organizing the outside world in the perfect way, we at the same time manage to put the body in the perfect environment for spiritual growth. If we look at Ayurveda in the same way, we will see that it is (roughly speaking) nutritional yoga determined by the different types of organisms. That is to say, it is also the yoga of our inner cosmos. Through it we have the opportunity to improve the acceptance of the things that take care of keeping our body healthy. For yoga-asana we will find that it is designed to perfect the body with the help of physical exercises. Pranayama, which we mentioned earlier, perfects our breathing as well as the movement of the five types of air and energies in the body. Mantra-yoga is responsible for the mind and the material elements that are finer. Atma-yoga is entirely spiritual; it takes care of our individual soul (atma) and its connection with Paramatma (the Supersoul). The two inhabit the heart of every living creature. Knowing the principles of this Vedic science, basically aiming at connecting us with the Supreme, we will understand how perfect it is. So if one practices correctly the methods of connecting Atma and Paramatma, then their life will ultimately be successful. And under successful, it is understood when death comes, to end samsara – the constant repetition of birth and death in the material world. If we achieve this, we can return to the spiritual world (back to God) – the place where we actually really belong. Next Post: How do diets in Ayurveda help the body and the mind?